An award-winning writer and producer for CNN and CNN.com who focuses on health and investigative news, Christensen previously worked as an investigative producer/documentarian in CNN’s Special Investigations Unit, where she won the highest awards in broadcasting –the Peabody and DuPont awards, among other top prizes, as a producer for Christiane Amanpour’s God’s (Jewish) Warriors. She also produced the award-winning MLK’s Words That Changed a Nation; Black in America: Eyewitness to Murder; Obama Revealed; Sarah Palin Revealed; Christiane Amanpour’s Generation Islam, and several breaking-news documentaries. 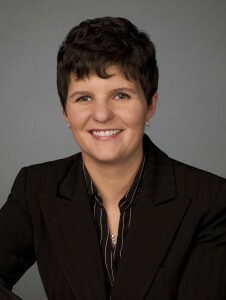 Since 2013, Christensen has served as NLGJA’s president.